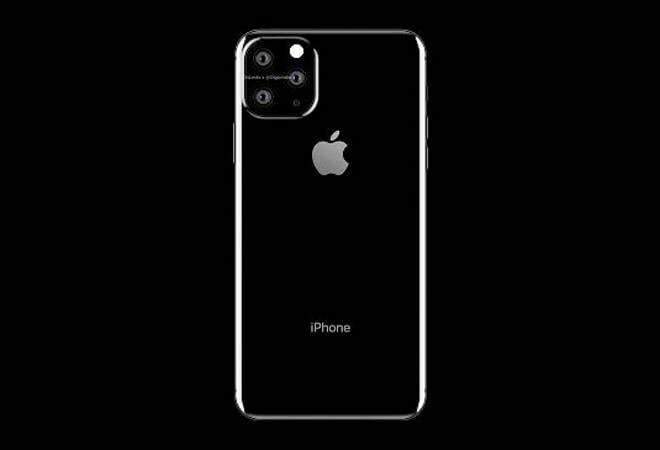 The new iPhone 11 or XI are not expected anytime before the second half of the year but the renders of the device are already out there on the interwebs! The new iPhones are expected to take the leaf out of the Huawei's book as far as the rear placement of the cameras are concerned. The front won't have any change and is expected to carry forward the 'notch' design of iPhone XS & iPhone XS Max. The new iPhones could be the last ditch effort by Apple to recover some lost ground after it lost its spot as the second largest smartphone manufacturer to Huawei. Its 2018 sales figures have also not been encouraging. The render of 2019 iPhone were posted by Digit in collaboration with OnLeaks. The rumours of the triple back camera have also been confirmed by the Tipster Ice Universe on Twitter. The leaked renders show a sleek and shiny black iPhone with a 3D curved glass back and rounded corners. However, the triple camera setup on the back has attracted the most attention with its unconventional and un-Apple like asymmetrical layout. There are two cameras aligned vertically, similar to the iPhone XS. However, renders also show a third camera placed between the two, on the side. Above the third camera is an LED flash and a microphone on the bottom. Meanwhile, both Digit and OnLeaks have said that this is an early leak and the final design of the new iPhone could look completely different. Meanwhile, the three cameras at the back suggest that Apple could adopt the 3D ToF technology on the 2019 iPhones. Earlier, Bloomberg too had pointed out that Apple would adopt long-distance 3D ToF in its 2019 iPhones. Time-of-flight (ToF) technology is a new way to gather detailed 3D information of an object.